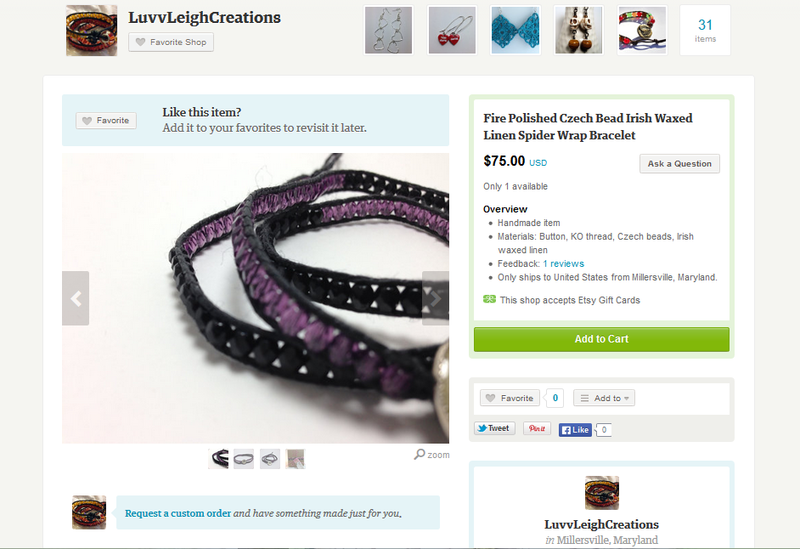 crocheting – Oh So Luvvleigh! It is well into fall here in Maryland with crisp cool mornings and the beautiful gold, orange, and red leaves falling from the trees. Although most stores are attempting to skip the holiday line and promote Christmas holiday already, I’m still in the process of getting ready for Thanksgiving and enjoying the fall weather. Last year I made myself a cowl to battle the brisk weather. I used Cascade Yarns Venezia Bulky in Violet which is a silk and wool blend yarn. 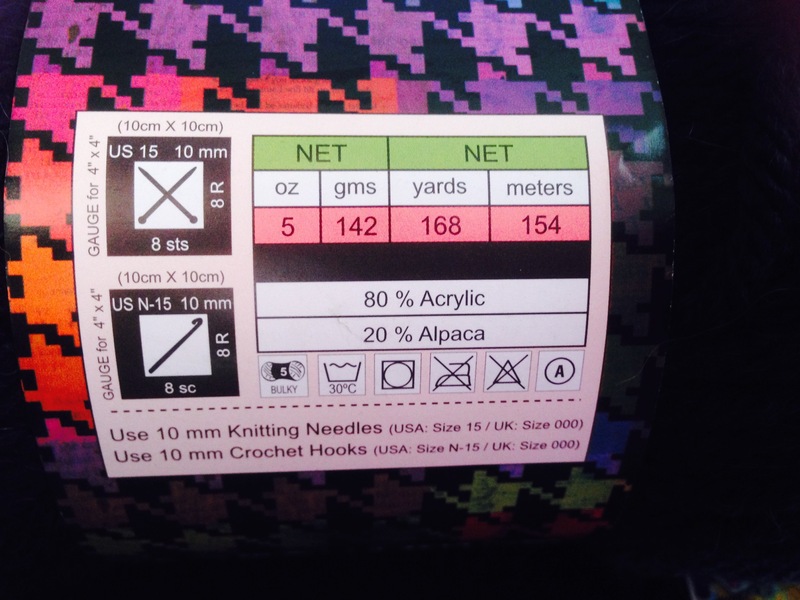 The resulting cowl is warm, soft, and has great stitch definition. Even after wearing it for over a year it still has very little pilling. For the last few days it has been a little brisker than usual with a Polar Vortex sweeping through and my cowl hasn’t been up to the task of keeping my face warm. While perusing Instagram I saw a post from Stephanie of AllAboutAmi blog and I just knew this was the next cool weather project I wanted to make! Those of you that aren’t familiar with her blog, please do take a moment to check her blog out! 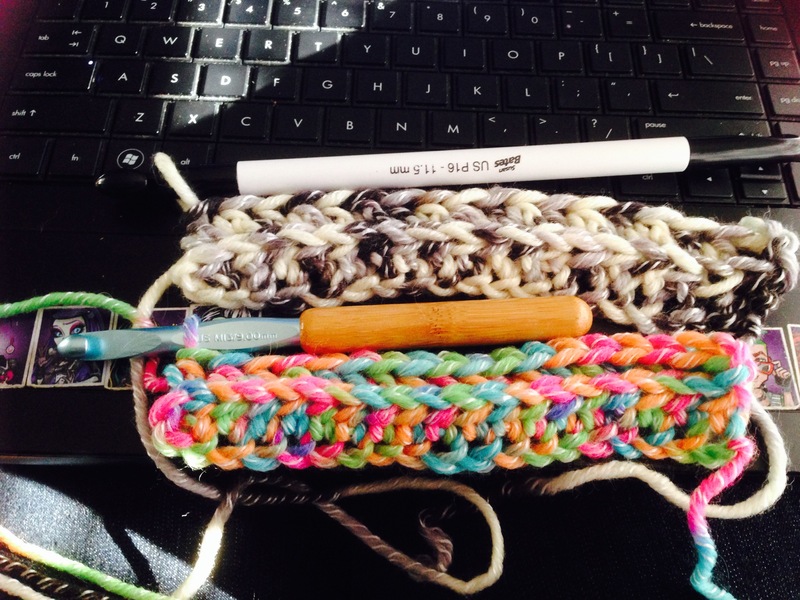 Stephanie has posted her reviews on many crochet projects (some patterns provided by others and some her own original patterns), as well as different food and home crafts. 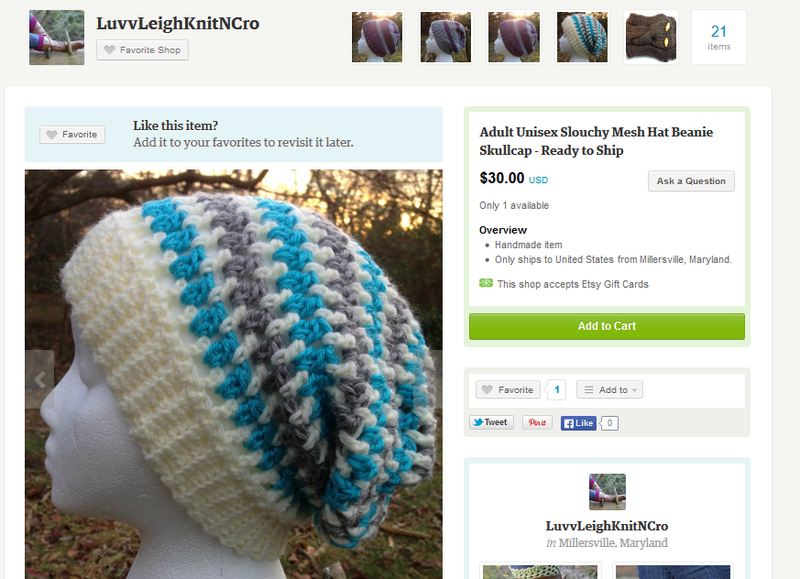 A few days ago she posted a tutorial and pattern for her Triple Luxe Cowl. The words “ITS SO FLUFFY! !” came to mind immediately! I was recently given an Hobby Lobby gift card by my old coworkers so I decided to check out the bulky yarn. While I was there I decided to pick up some yarn to make one for my Mini Me and a skein of acrylic for an ear warmer for my youngest nephew. I picked up a bright variegated yarn for Mini Me. 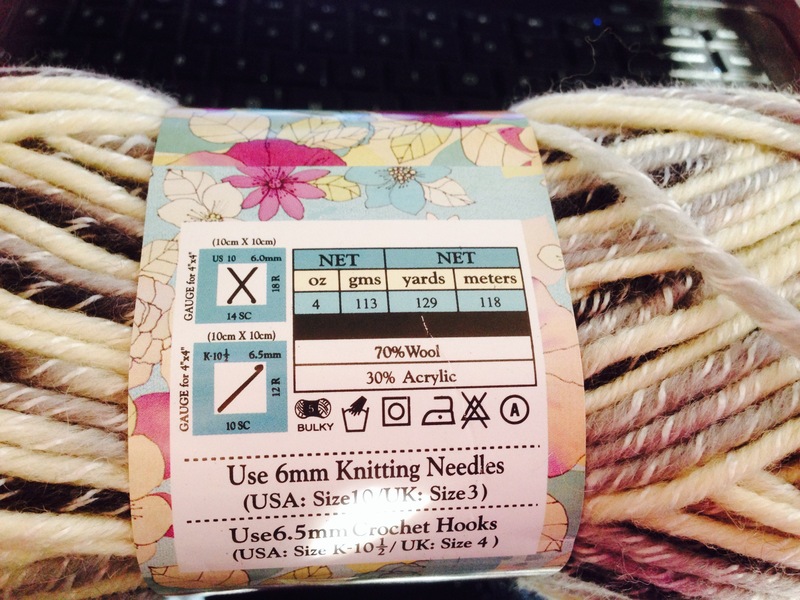 The yarn is called Melody Bulky by Yarn Bee, the colorway is Florals. It reminds me of candy! These next two yarns are also by Yarn Bee ; Effortless Chunky in Cool Black which is the alpaca and acrylic blends and another batch of Melody Bulky in Naturals. 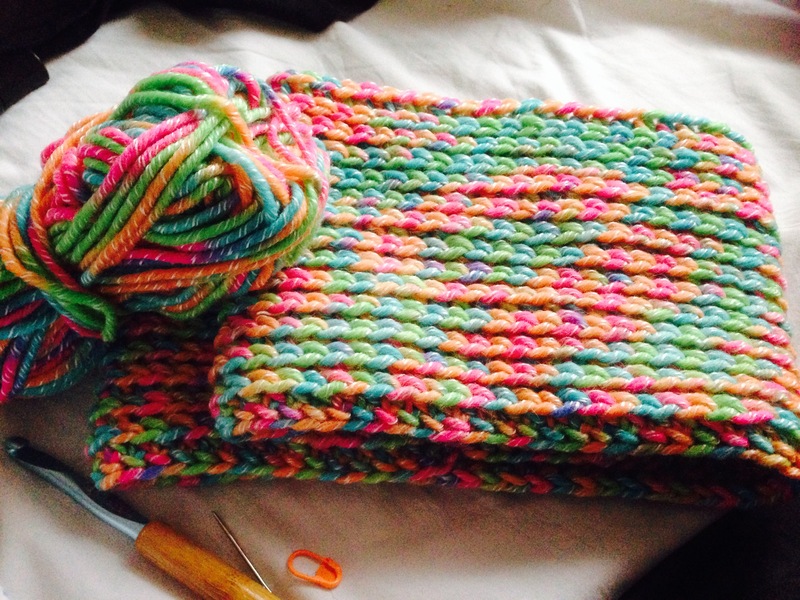 Stephanie’s pattern calls for a 10 mm hook to keep the cowl fluffy due to the stitch pattern. Unfortunately my 10 mm has gone MIA. I have access to a 11.5 mm and 9 mm hook at the moment so I did a quick two rows to see which one would give me the desired drape. Looks like the 9 mm is the winner! 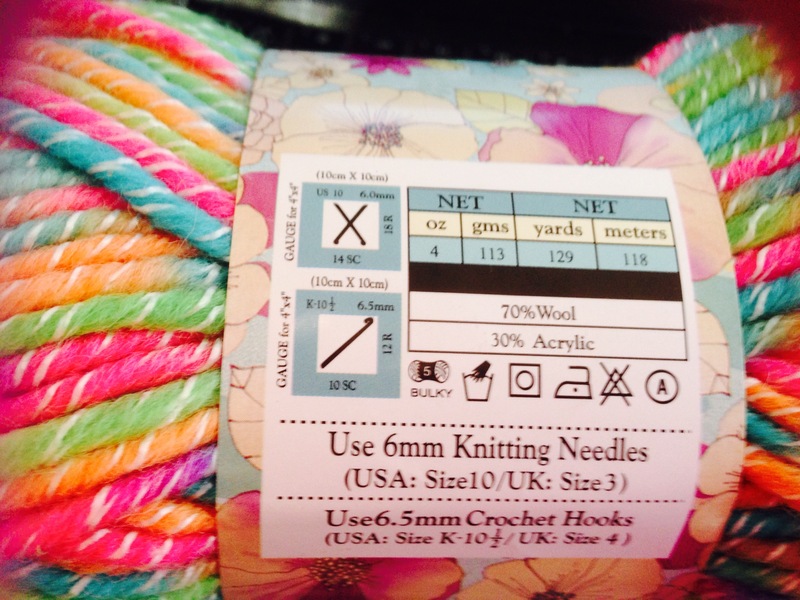 The stitch pattern is visible without making the fabric too dense. The 11.5 also made a loose fabric but the stripes were too far apart for my tastes. 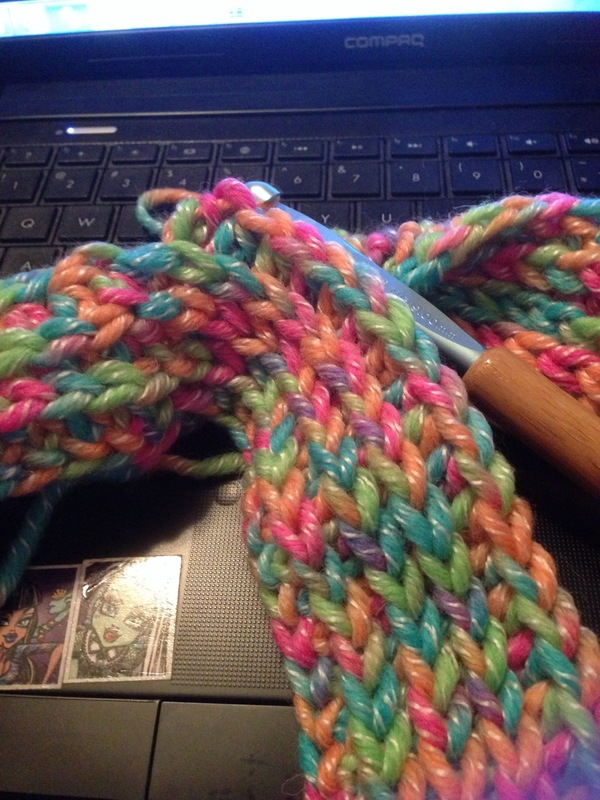 So using the 9 mm hook and the colorful yarn, I started to make my daughter’s cowl. Instead of starting with a chain, I decided to use chainless or foundation hdc (Great tutorial by Liz McQueen on her blog, Playin’ Hooky Designs). I worked 100 fhdc’s and used the wonderful tutorial to join the chain without a gap. and continued with Stephanie’s pattern. I love love LOVE how the colors were turning out! Reminded me so much like candy! I continued to follow the pattern finishing two rows short since this was for my daughter. She tried it on and loved how warm it was on her neck and chest. The yarn I used for my daughter’s cowl was excellent to work with. It was soft and fluffy. Due to the way it was constructed I didn’t experience any splitting. It worked up very nicely with great stitch definition. I can’t wait to work on my own using the same yarn in a more neutral color way.